It’s my first vacation since I moved to Europe, and guess where I headed – back to Asia. Well, not that far – but halfway there. Iran! I never placed Iran in my list of places to travel, but it’s good to have a curve ball thrown at you when it comes to travel destinations. After landing in Tehran, it was a mad dash to their domestic airport (Mehrabad), an hour north of Imam Khomeini International, to the western banks of the capital. If you’ve seen Argo, the departure gates a just two polishes ahead of the movie’s suspenseful finale. Shiraz is located in the heart of the country – where it boasts of peaceful Persian gardens, regal mosques, and the ruins of world famous Persepolis. You can get there on the cheap by taking a 12-hour bus ride (the highways are in quite good condition), but I took a plane for 50 USD and saved myself some time. 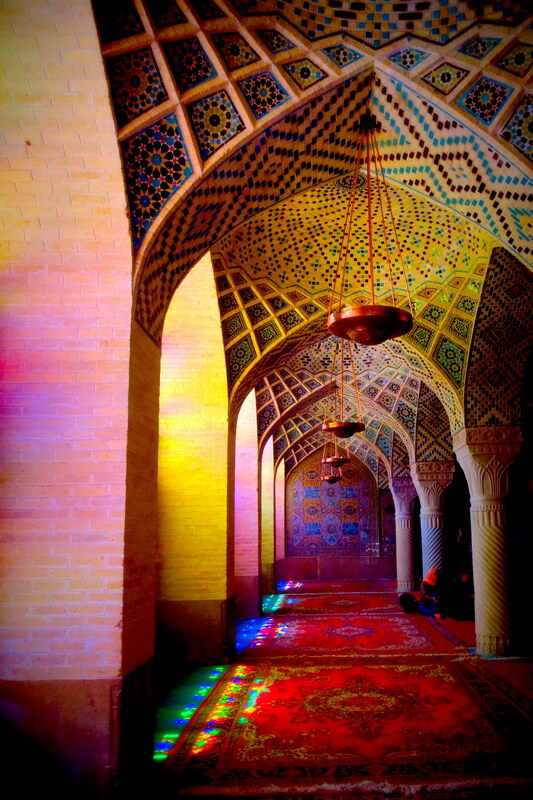 Key places to visit would be Nasir-al-molk mosque, Hafez’s tomb, the citadel and their bazaars and caravanserais. The sand-coloured bricks are brought to life with vividly painted tiles. Outside, one of the citadel’s towers leans as the basement was a hammam whose water flows eroded the tower’s base. 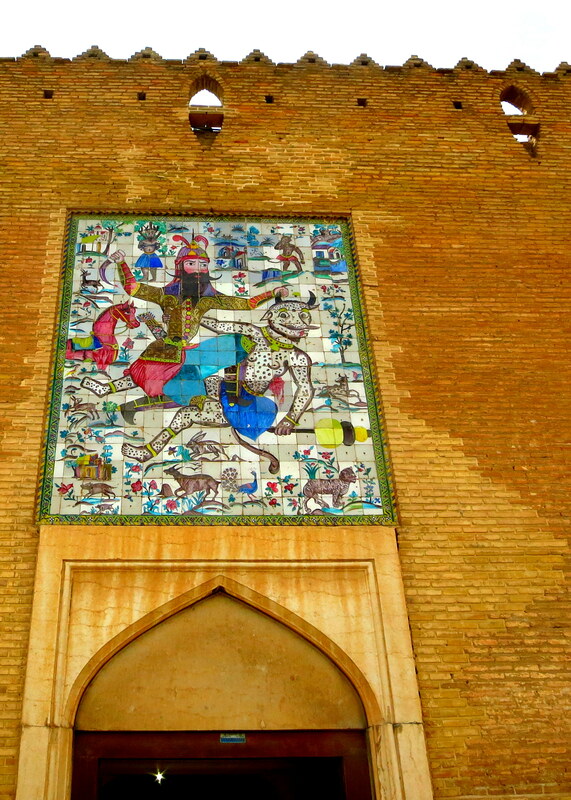 It was the beginning of my trip around Iran – there’s a really nice blog post summarising our trip here. Well, here’s the part you missed Brenda. Special kudos to Golshan Traditional Hostel – it wasn’t free, but the hostel had a lovely courtyard, a fountain, and plenty of Persian rugs to sit on. It’s always amazing to how centuries’ worth of history is melded into a technology advanced city. Seoul is an excellent example this. Despite heavily hinged on technology (hailed as the world’s most connected city by means of the internet), its traditional roots are never forgotten as evidenced by its numerous Confucian and royal temples scattered around the city. My personal favourite is Gyeongbokgung Palace, located at the northwest section of the city – an expansive complex set against a mountain backdrop and facing the city’s modern skyline. 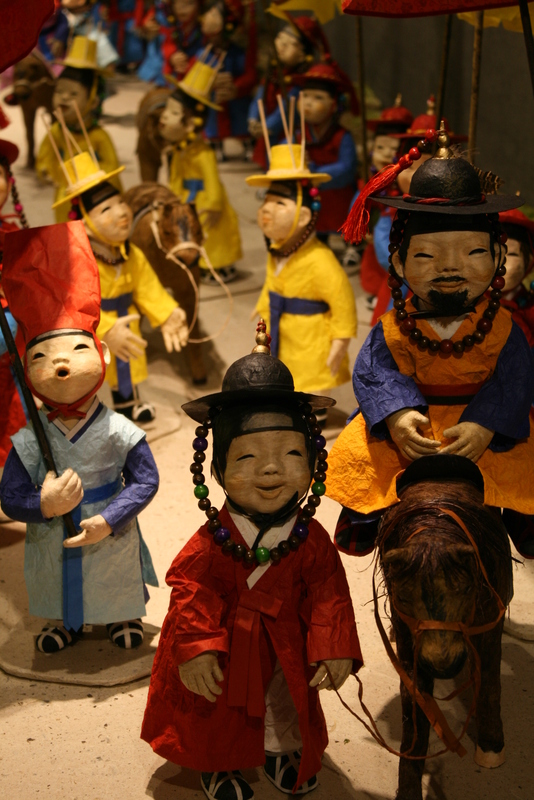 Try accessing it from the Gyeongbokgung subway station, and admire the subway art on the way to the palace grounds. Like most palaces and fortifications, there is an elaborate showcase of the changing of the guards, make sure to see the parade of colours and drum beating. There are two daily, check local times for a more accurate schedule. Across Gyeongbukgung palace you will find a memorial to King Sejeon, South Korea’s most admired person, and also the creator of the national language, Hanggul. There’s an underground museum right below the roadways that details the life and achievements of King Sejeon, and a language institute. There’s a film on how their language came about, and a scientific process on how to learn Korean. It’s not as difficult as you think, and you can learn to read the signs in Korean in as little as 45 minutes. 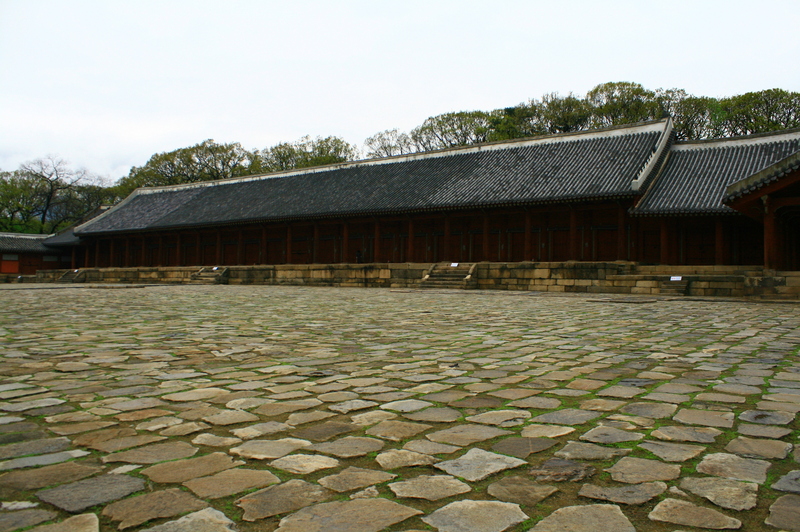 Jongmyo shrine is regarded as the most sacred grounds for Korea – though the palace grounds are open to the public (only by guided tours, and at designated times), most of the buildings are off limits. It contains the spirit tablets of the royal family and their ancestors, hence the increased reverence and seclusion (and World Heritage Site status). 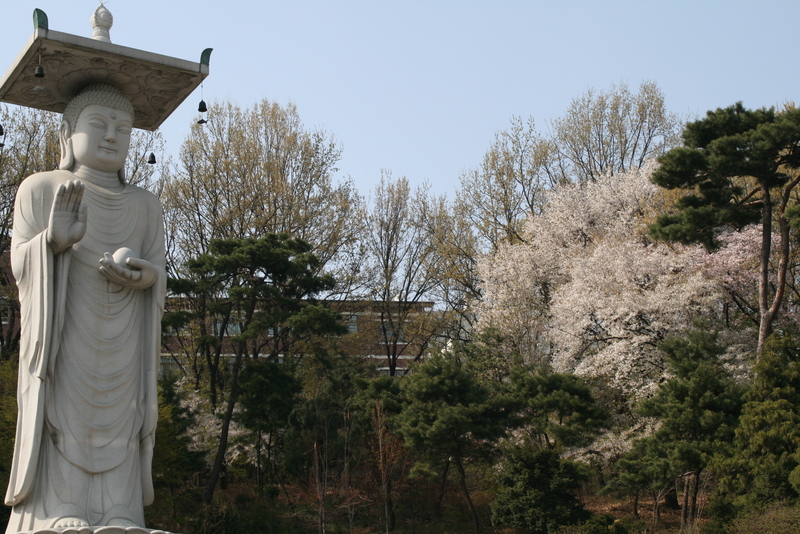 A short walk from Jongmyo shrine through touristy Insadong Street (pick up your souvenirs here) will lead you to Jogyesa. Finally, a hidden shrine at the south section of the city behind COEX Mall is Bongeunsa Temple. 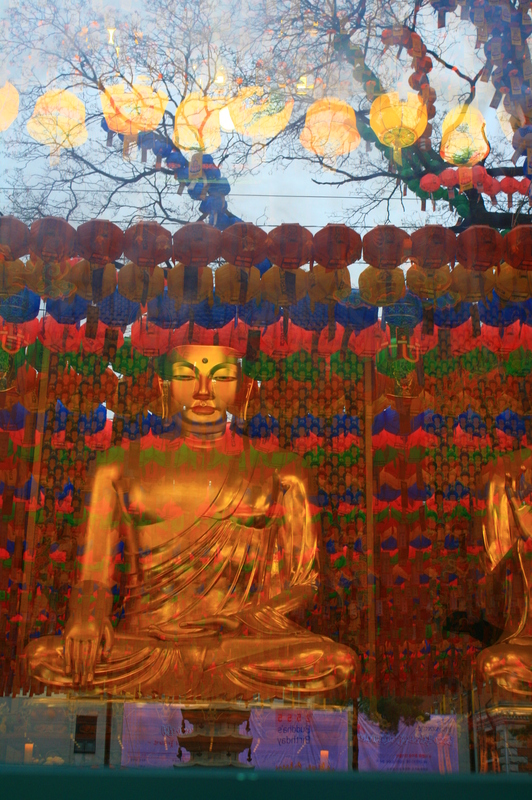 It’s particularly beautiful in the spring where the place is decked with lanterns to celebrate Buddha’s birthday. Its hillside location also provides great views of the city. Best to visit this at night and see Seoul all aglow from the lights.